Credit cards that are affiliated with brands — such as American Airlines, Uber, L.L. Bean and Ikea — are suddenly amping up rewards for everyday purchases at restaurants, gas stations and grocery stores. Now, co-branded card issuers might offer double or triple points — or more — every time you swipe at the pump or hand your card to a waiter or store clerk. Ikea even offers bonus points for spending on utilities. Traditionally, co-branded credit cards offered a mundane 1 percent back on purchases made outside the brand. Now, Uber’s card, for example, offers a whopping 4 percent back on restaurant purchases. Intense competition has led issuers to offer fatter rewards in an effort to attract consumers’ attention and push new and existing cards to the front of the wallet. Bank-branded cards were first to offer accelerated rewards on everyday spending, and co-branded cards were forced to follow. 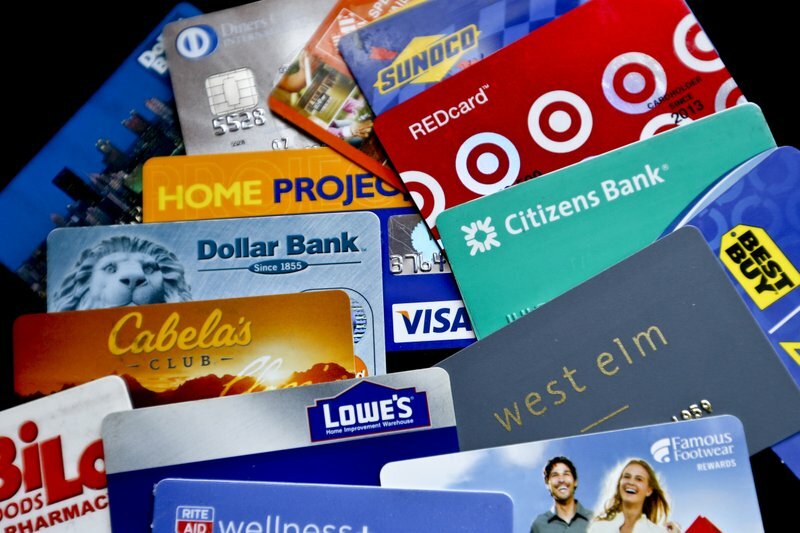 “This is a highly competitive time in the consumer card business, with many value propositions being pushed to the max,” said Eric Marks, senior director with the banking practice of consultant West Monroe Partners. “Consumers are much more sophisticated about their financial services product options today than they were just a few years ago.” That’s mainly because they’re able to easily comparison-shop, even via smartphone, he said. “Just having a card to use will increase store sales by some 28 percent to 30 percent,” said payment industry consultant Robert Hammer of R.K. Hammer. – HIGHER INTEREST RATES. Co-branded cards tend to carry higher interest rates than bank-only credit cards, Grund said. That makes the cards a poor choice for carrying a balance. – VALUE OF REWARDS. Co-branded cards usually dole out rewards in their own loyalty currency, such as United Airlines’ MileagePlus miles or L.L. Bean’s “Bean Bucks,” which can’t be spent everywhere, as dollars from a cash-back card can. Points and miles can be devalued by retailers or airlines by raising redemption prices. – UPGRADES TO EXISTING CARDS. Some cards have been automatically updated with better rewards. Recently, two major airlines, American and United, both revamped existing versions of their cards to offer accelerated rewards on purchases outside the airlines. American and Citi added double miles for each dollar spent at gas stations and restaurants. The co-branded card from United and Chase added restaurants and hotels as double-mile categories. More generally, reevaluate your portfolio of credit cards to make sure they’re still competitive, Grund said. – CARD PERKS. Co-branded cards can offer benefits that bank-only cards can’t. Airline cards might offer free checked bags and priority boarding. A retailer might offer regular discounts and coupons, early access to sales, free gift-wrapping or free alterations. – INDUSTRY TRENDS. Rewards are so rich now that it might not be sustainable. “The challenge is that these value propositions are creating very thin margins — if any at all — for the companies offering the rewards, and at some point it is likely that the rug will be pulled out from under consumers’ feet,” Marks said. This article was provided to The Associated Press by the personal finance website NerdWallet . Gregory Karp is a writer at NerdWallet. Email: gkarp@nerdwallet.com . Twitter: @spendingsmart.